We've all had those moments where a large scale disaster hits close to home. Roads are covered with debris and are damaged, power lines collapse, houses are flooded, and belongings are displaced. Some people might even lose pets and other valuables. This is where a community driven app that aims to lessen the impact of these disasters come into place. By allowing users to report hazards that might lead to bigger turmoil, we can notify each other and bring the neccessary awareness to our own surroundings. Like recent trending twitter posts that show trending news from around the world, we seek to shine light on hazards that could go unnoticed in a community. 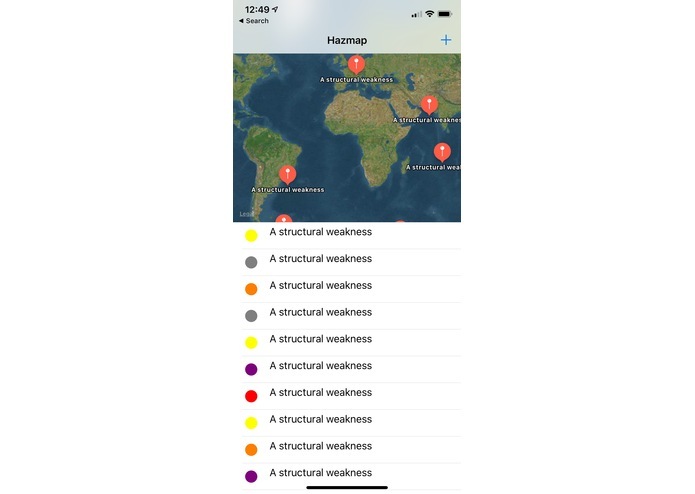 This application allows users to use an iPhone app to pinpoint a location along with the type of hazard and a short description of the hazard. People are able to view the hazards through the iPhone app or even an accompanying website that also allows users to delete the hazards. Using custom icons, one is able to quickly see if their surroundings are in need of repairs. Seeking attention is the goal of the application. 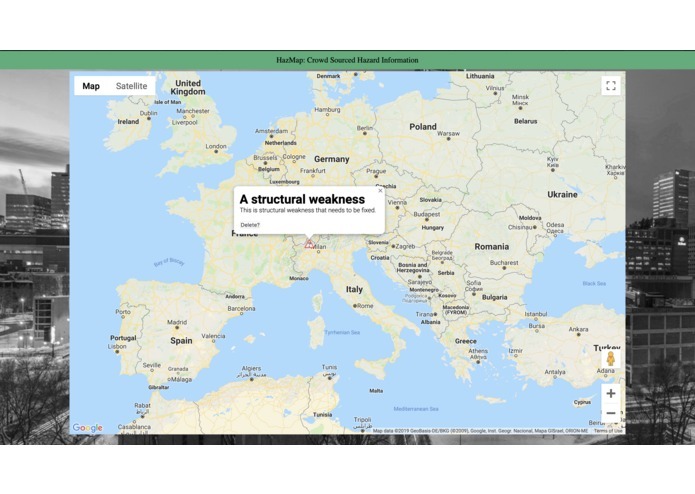 Utilizing the google maps API in order to populate a crowd sourced map in order to get information and storing that information to be of use to others that may require it. We plan on adding a login and authentication for the webpage in order to manage the map so that not anyone can just come on and delete all of the hazards. They would still be able to view the hazard in the case that they want to plan a trip or want to know if some hazard near them has been fixed yet or not. On the mobile side, we plan on adding support for android as well, instead of just iOS. We also plan on adding a feature that deletes a hazard after a certain amount of people mark that the hazard has been fixed so the map doesn't get cluttered and so people know when a place is safe to travel or what they at least should be looking out for.